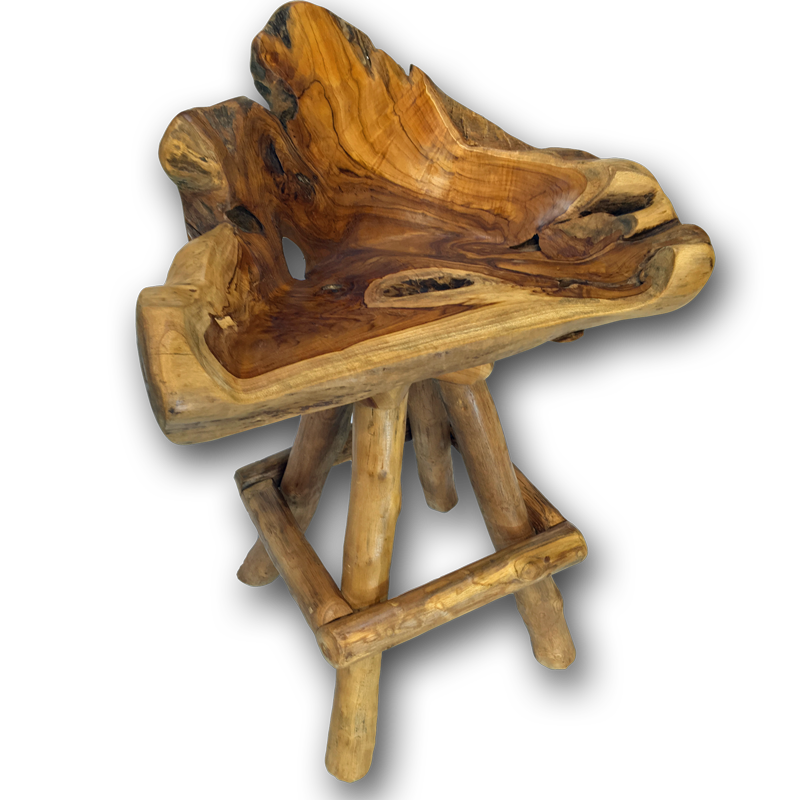 Stunning teak root swivel stool - perfect fit for the teak root bar! Made from solid teak roots, this unique item would look great in both the home and garden. Teak is particularly resistant to rotting and with the right care will last a lifetime - even outdoors! Each one of these chairs is an unique piece and will vary from that shown. Please see example pictures but if you would like a photo of a currently available one - please ask!